The Shinmoedake volcano hadn’t erupted in six years. That changed this week. Luckily for all of us, storm chaser and drone pilot James Reynolds was there to capture the footage. 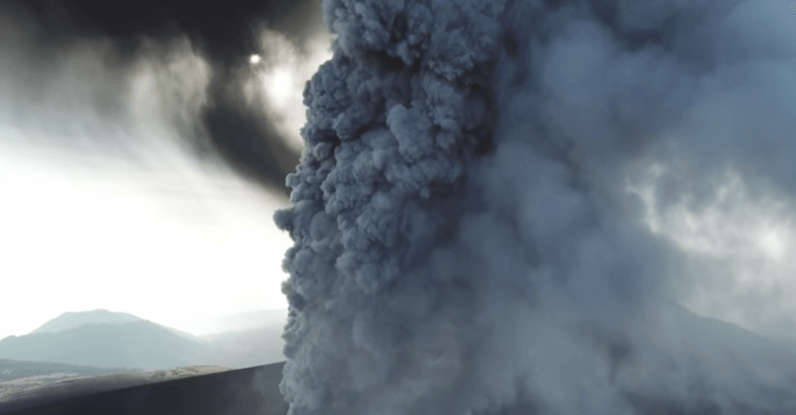 Reynolds, using a DJI Mavic Pro shot the eruption from a safe distance, about 2.5km (1.5 miles) from the crater. The smoke plume rose 2,000 meters (5,600 feet) above the crater, covering the ground in ash and soot. The drone footage captures the surreal, post-apocalyptic landscape. As news junkies panic over new evidence the Yellowstone supervolcano might be closer to wiping out life on Earth than previously thought, Reynolds’ footage gives us an idea of what that might look like on a much smaller scale. Residents have been warned to stay away, and authorities have raised the alert level to three. The last time the volcano erupted was in 2011.